Madison Hotel Week is the perfect reason to get away in winter! Named as one of the best travel deals from around the globe by The Washington Post, the promotion provides $75, $100 and $125 room rates at some of Madison's best hotels. But reduced hotel rates aren't the only reason to find yourself in our capital city. 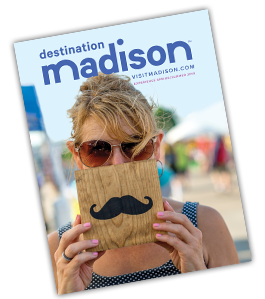 Between our award-winning dining scene, first-rate live performances and spirited college sporting events, there is no shortage of things to do in Madison. Check out hotel descriptions, rates and contact information on the website. Once you're ready to book, just follow each property's instructions! Please note: some hotels have limited availability, book early for best selection!